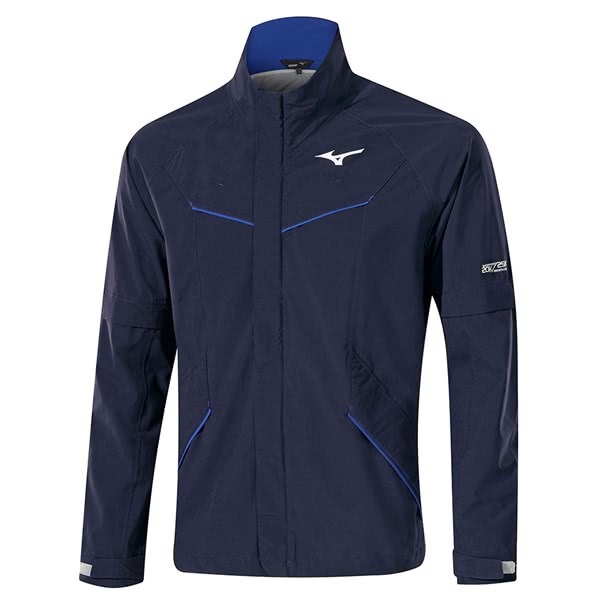 The Mizuno Nextlite Rain Jacket delivers a versatile style that can be worn to protect you from the elements as a long sleeve or short sleeve jacket. 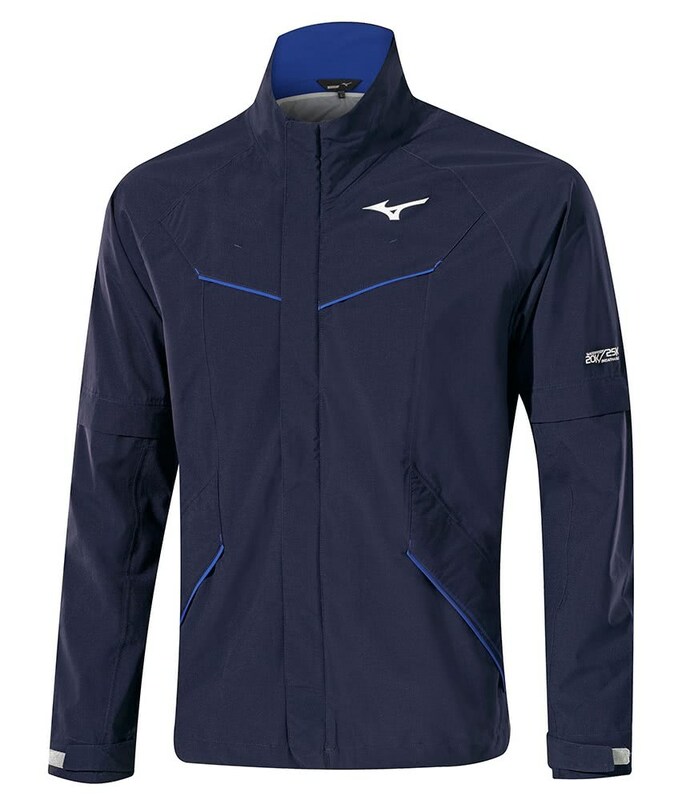 Mizuno have developed a fabric that is super comfortable to wear as it has a lightweight construction with a technical stretch that enhances mobility when wearing extra layers. The fabric is highly waterproof and breathable allowing for year-round comfort. The detachable sleeve design comes in super-handy during the warmer months of the year for the ultimate performance. 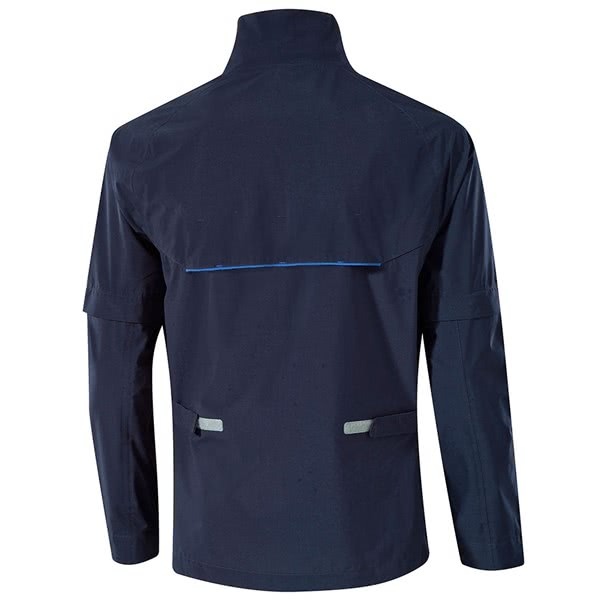 To provide a superior comfortable fit the Nexlite Jacket features a Velcro tab design that will allow you to tailor the fit depending on the number of layers you are wearing. 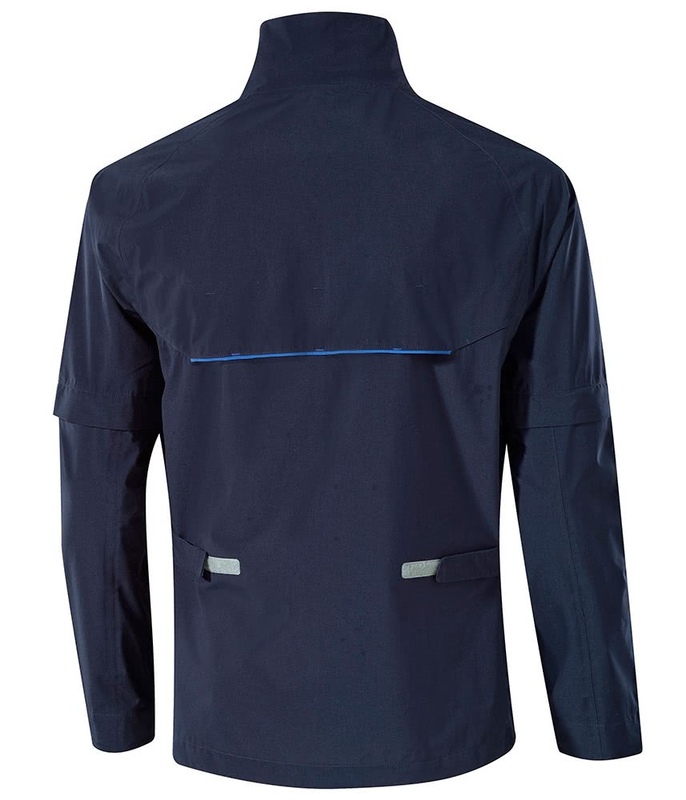 Velcro cuff adjusters will allow you to tailor the fit of the sleeves and prevent them riding up during the golf swing and for enhanced protection from the elements a stormguard has been used to cover the full zip design. An incredible 20,000mm waterproofing with 25,000g breathability - classified as highly waterproof for heavy rain. Soft to the touch and incredibly lightweight for its level of waterproofness, the Nexlite could easily double as a wind top. Detachable sleeves make the jacket even more versatile across the seasons. With pack away pouch to minimise storage space.